Chewy chocolate cookies are the perfect semi-homemade dessert recipe! Starting with a homemade brownie mix, these chewy chocolate cookies make up in a jiffy and are oh so yummy! 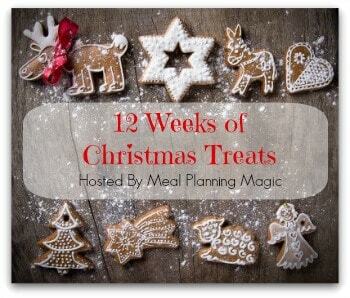 It’s not yet Halloween but here we are at the sixth week of the 12 Weeks of Christmas Treats! The holiday season will be upon us soon. 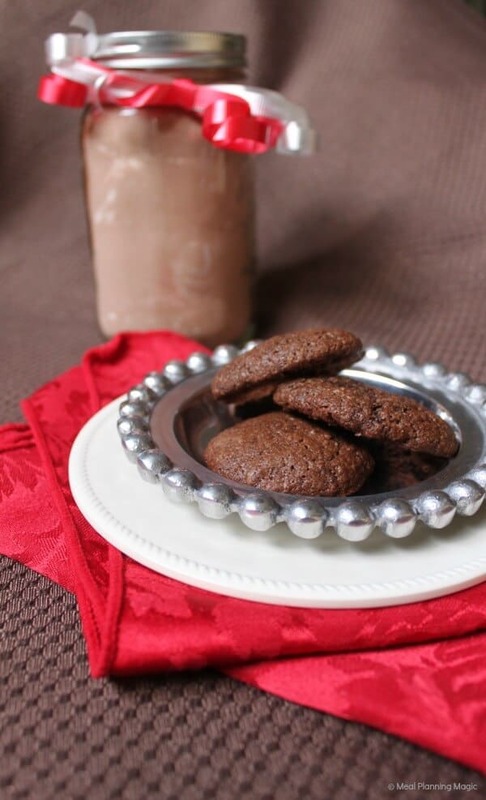 These Chewy Chocolate Cookies are so quick and easy, you’ll be able to whip up a batch anytime. The good news is they start from a basic brownie mix that you make from scratch. This year there are only three December weekends before Christmas so you’ll need to have your baking plan organized—adding some of the treats featured in this series is a great place to start. My very first job in high school was in the bakery department of a local grocery store. Is it any surprise that I’ve loved sweets pretty much my whole life and I end up there? One of our best-selling cookies were the Chewy Chocolate Cookies. While this recipe is not quite the same, it is a close second and oh so easy! What’s great about it also is that it starts with a homemade brownie mix as a base. I shared this recipe on the segment that aired last month on my local ABC affiliate television station. You can find the Brownie Mix Recipe HERE. This mix is great to make up and give as gifts. You can put two batches worth in one large glass canning jar. Put on a festive bow and add the recipe and you’ve got an easy gift to give for all sorts of occasions. The chewy chocolate cookies recipe is as follows. Enjoy! Preheat oven to 375°. Grease baking sheets. Combine butter, eggs and water in a medium bowl. Beat with a fork until blended. Stir in BROWNIE MIX, baking soda, flour, vanilla and optional chocolate chips and nuts. Add additional water, if needed. Blend well. Drop by teaspoonfuls two inches apart on prepared baking sheets. Be sure to check out our Pinterest board for all the great ideas too—it’s a great way to keep track of your favorites. Don’t want to miss a recipe? Then be sure to CLICK HERE so you can subscribe to all the updates. Besides sharing holiday recipes, I also share all kinds of meal planning and kitchen organization ideas. 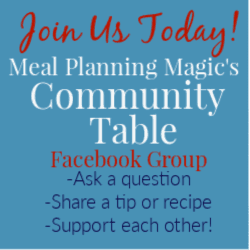 It’s simple and you’ll also receive weekly meal planning inspiration in you inbox! And be sure to check out the links below for all the bloggers who are sharing their own recipes this week! If you’re a blogger and want to join in the hop, you can find more details and SIGN UP HERE. I love this gift idea! Thanks for the reminder on how many weekends in December. Oy!